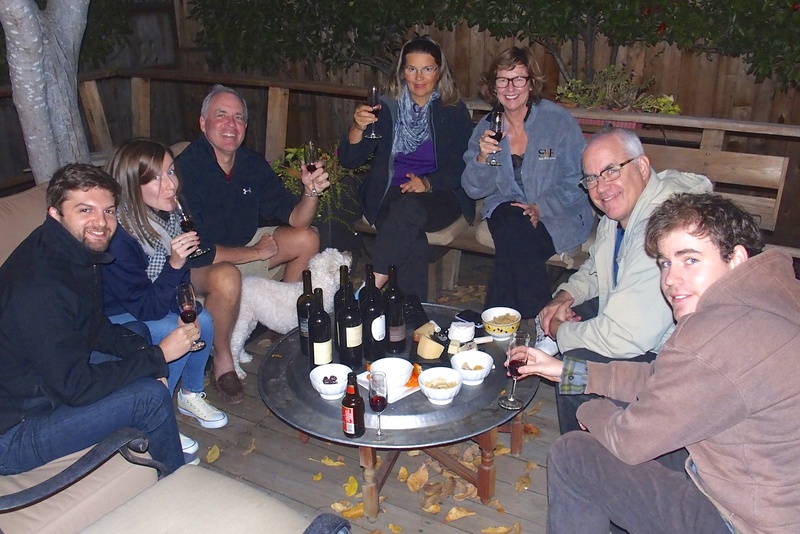 The month in Sonoma has passed with a whirlwind of activities with family and friends (and wineries). Here are a few more tidbits from the trip. 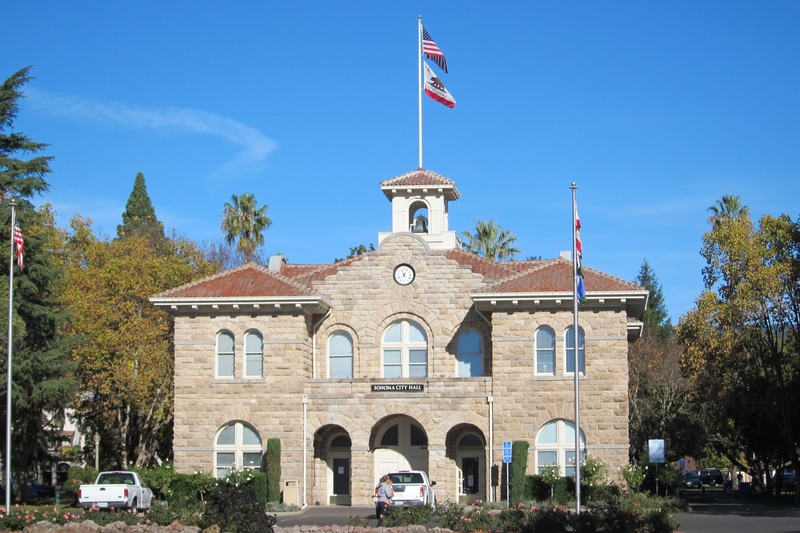 Sonoma’s City Hall on Sonoma Plaza looks the same from all directions. Liz was on stage at the Green Festival to discuss the Bad Apple campaign, working to encourage electronics manufacturers to improve worker conditions. BTW her Raise the Bar, Hershey! campaign to encourage Fair Trade in the chocolate industry just won an Activists’ Choice BENNY award. Our first trial of an electric car, this one a BMW. 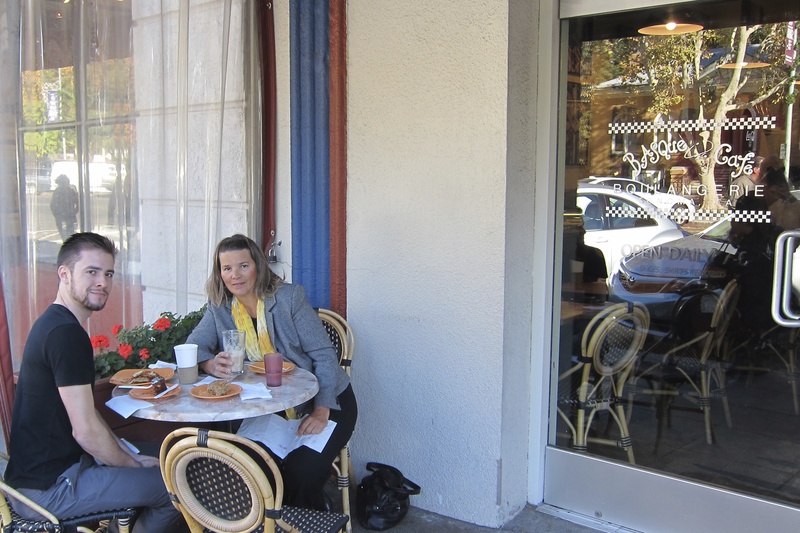 Our favorite little bakery on the Sonoma Square, the Basque bakery, just five blocks from our airbnb. Chris came to visit! Michael, Chris, Tom, and Allison took a leisurely (?) 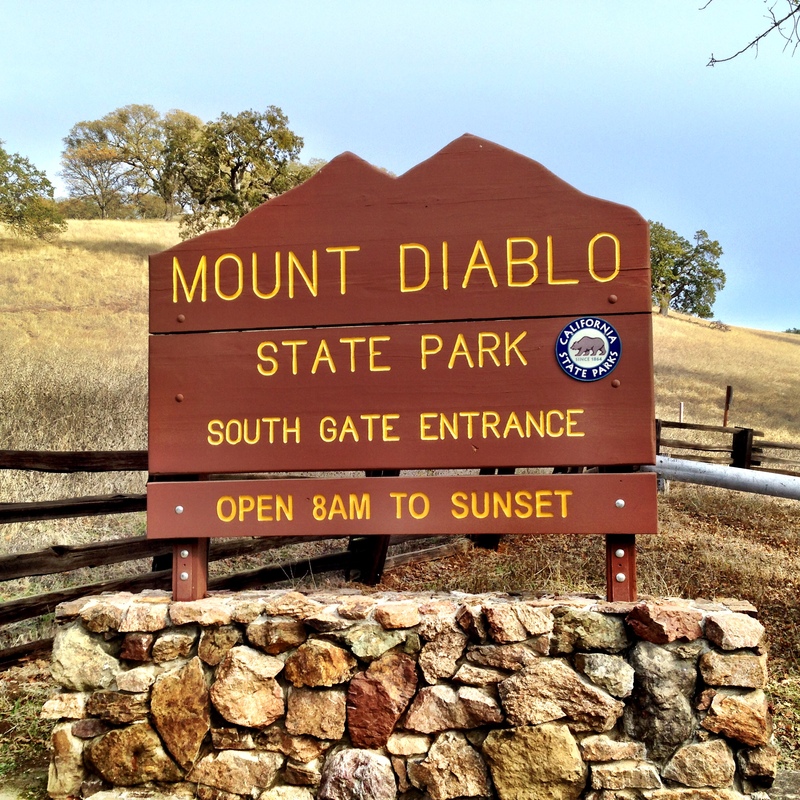 bike ride up Mount Diablo, ~3,800 feet. Despite Michael’s best efforts, Chris takes King of the Mountain of the O’Connell clan. The title still stands. 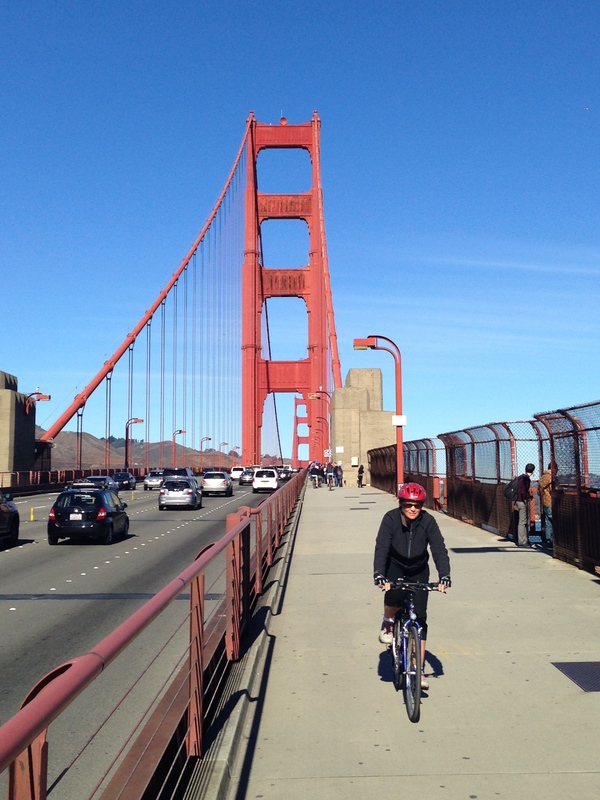 Michael, Nancy, and Chris did a bike trip across the Golden Gate Bridge and down to Golden Gate Park. 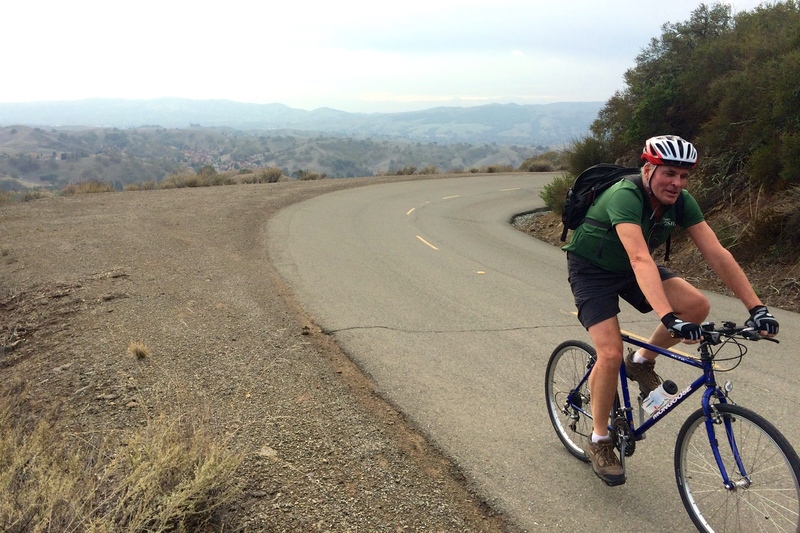 Chris and Michael also biked up Hawk Hill (923 feet) beyond the Golden Gate. Chris took KOM title on this too. Still in place despite valiant later efforts by Matt, Meghan, Liz, and Jesse. 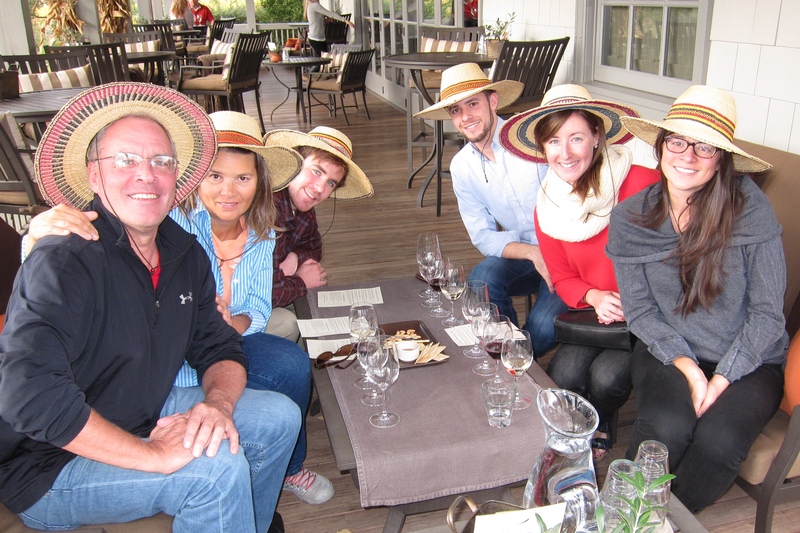 Frog’s Leap has good wine, despite the silly hats. 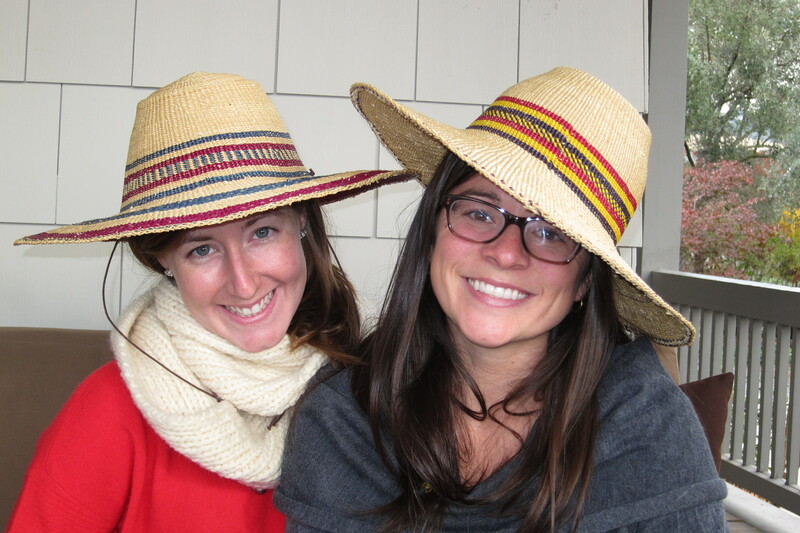 Of course, Meghan and Liz look great in their hats. 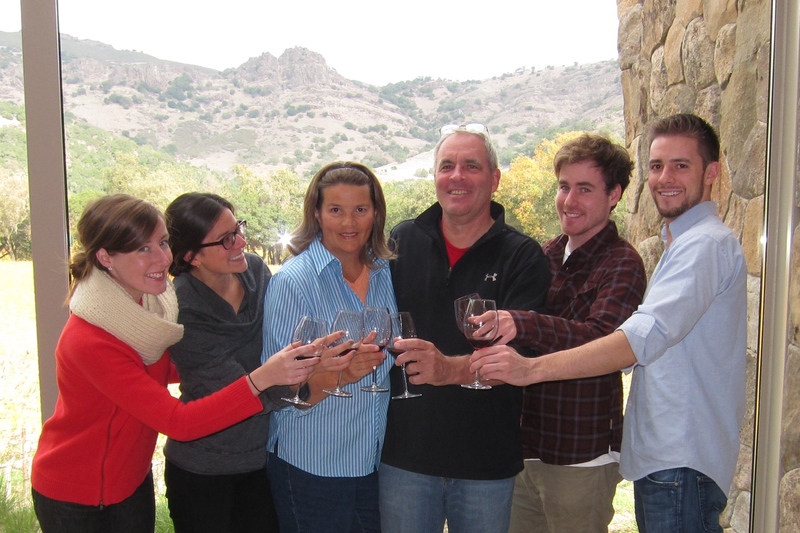 Meghan, Liz, Nancy, Michael, Pat B, and Chris at Stag’s Leap Wine Cellars. Very good wine! 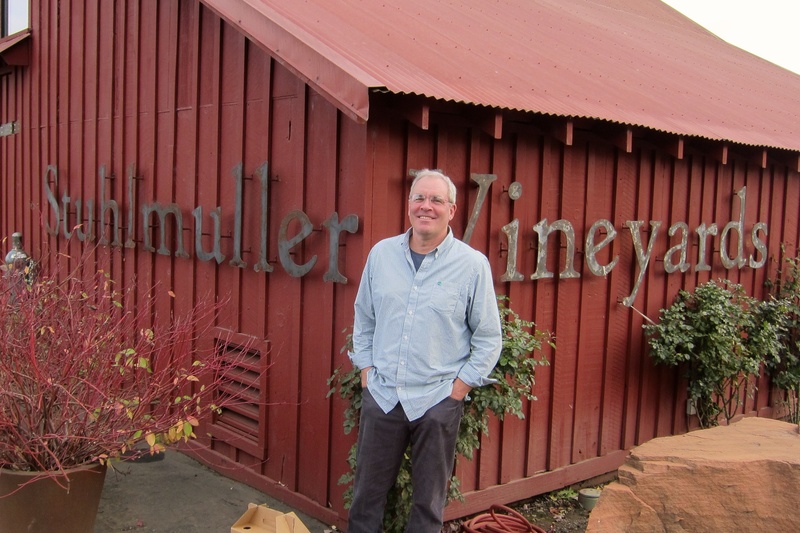 Michael finally made it to the home of his favorite wine, Stuhlmuller. 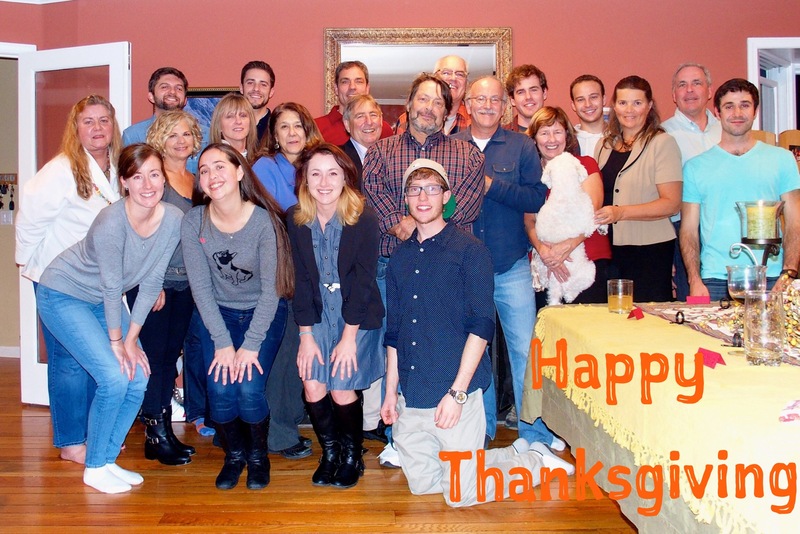 Kathy and Stephen hosted a superb Thanksgiving dinner for 20+ people. 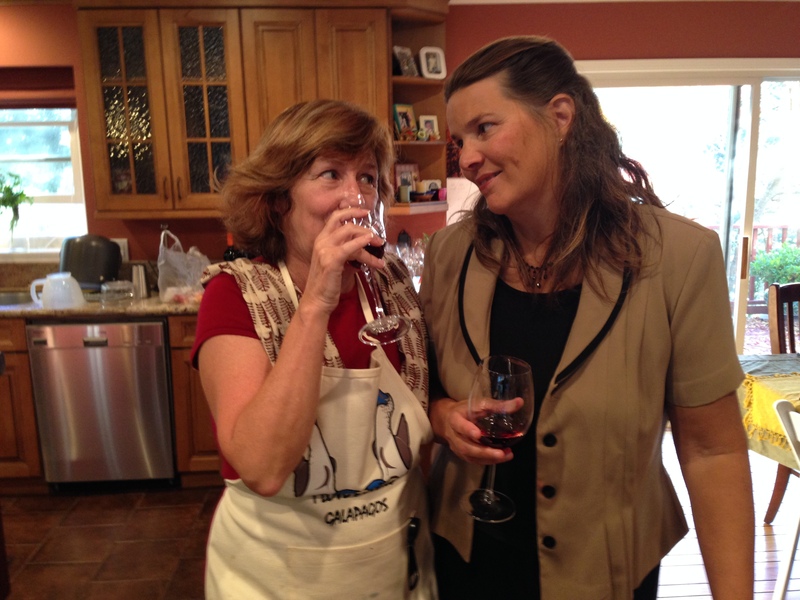 Here we catch Kathy in the middle of preparation, making sure the wine is acceptable. 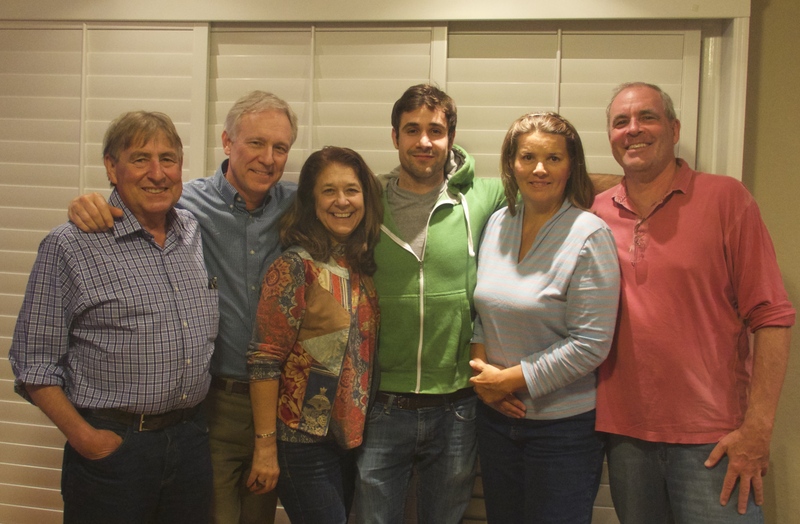 We met our future relatives, Jesse’s parents, uncle, and brother. Here’s the whole gang. 21 people plus Yeti. 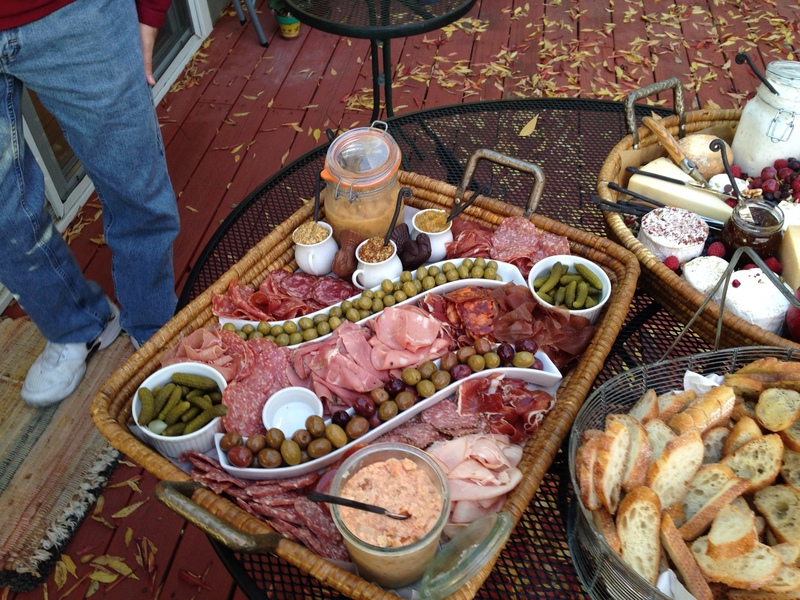 We ended the month toasting Nancy’s birthday. 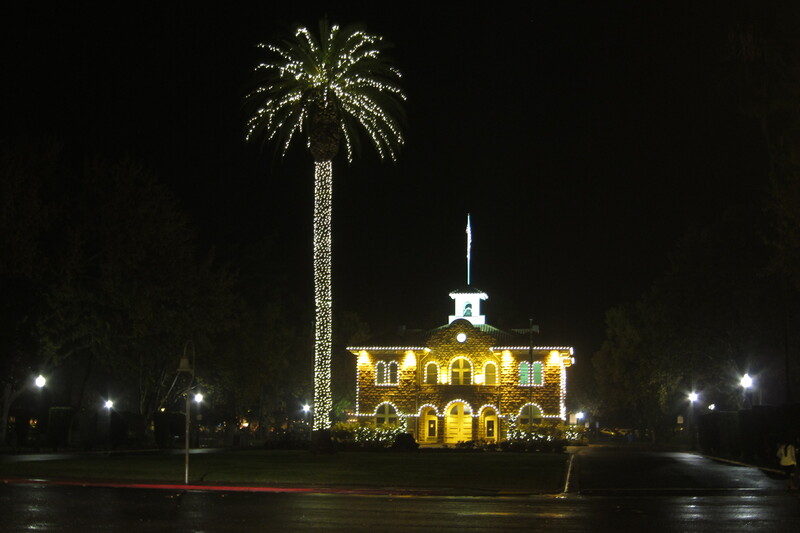 And so we say goodbye to Sonoma…until next time. 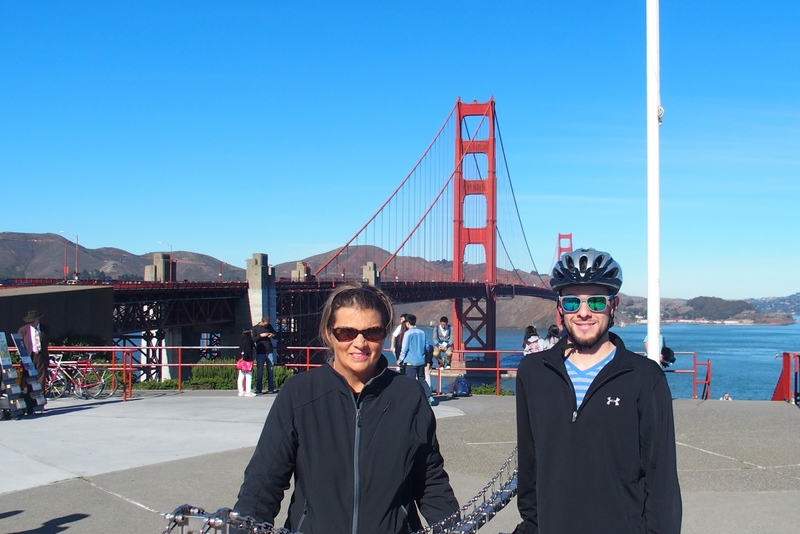 This entry was posted in Travel Journal and tagged bicycling, Frog's Leap Winery, Golden Gate Bridge, Hawk Hill, Mount Diablo, Sonoma, Stag's Leap Wine Cellar, Stuhlmuller Winery, Thanksgiving, wine. Bookmark the permalink. Great times with good friends! Where are you going next?